We are always in search of a smartphone which can show us high-definition videos at the highest quality. If that's what you are looking for, do not look any further. Great smartphone brands such as Apple, Samsung, Micromax, Motorola, Asus, Sony, Nokia, Lenovo, Gionee, HTC, Intex, Lava, and many others offer the best HD mobile phones in India with the best deals and discounts. These high-definition mobiles are available on major e-commerce stores such as Flipkart, Paytm, Amazon, Shopclues, and Snapdeal at the best prices. 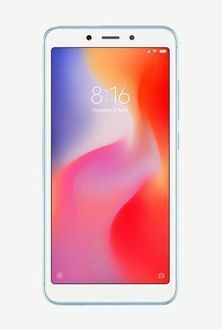 We at mysmartprice.com accumulate prices of HD smartphones from all these sellers and employ our price comparison feature to show the lowest prices available. The online prices of HD smartphones shown in the price list above are valid only in major Indian cities such as Mumbai, Delhi, Bangalore, Chennai, Hyderabad, Pune, and Kolkata because the tax rates in these cities are standard. However, there might be a slight fluctuation in the prices in other towns and cities due to inconsistent tax rates.